If you love lemon, then you'll love this sweet lemon frosting made from fresh lemon juice and zest!! It's the frosting version of fresh squeezed lemonade! It's delicious and is the perfect cupcake topping on a hot summer day! I hope you enjoy!! 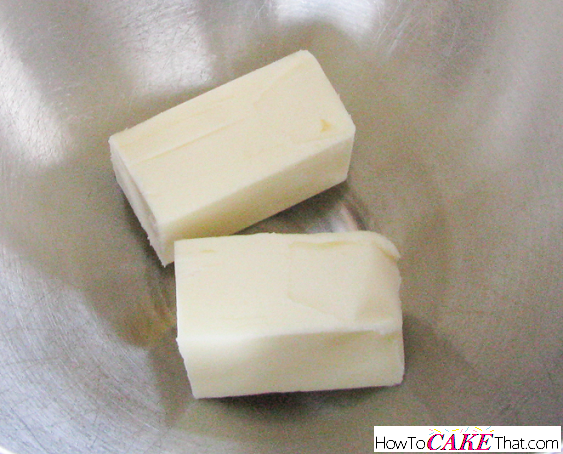 To begin this recipe, place 1/2 stick (2 ounces) of salted butter into the bowl of a stand mixer. 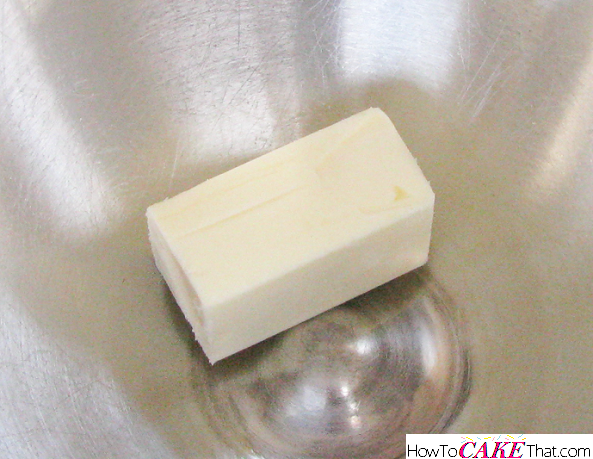 Next, place 1/2 stick (2 ounces) of unsalted butter into the bowl. And add 1/2 cup of high ratio shortening to the bowl. 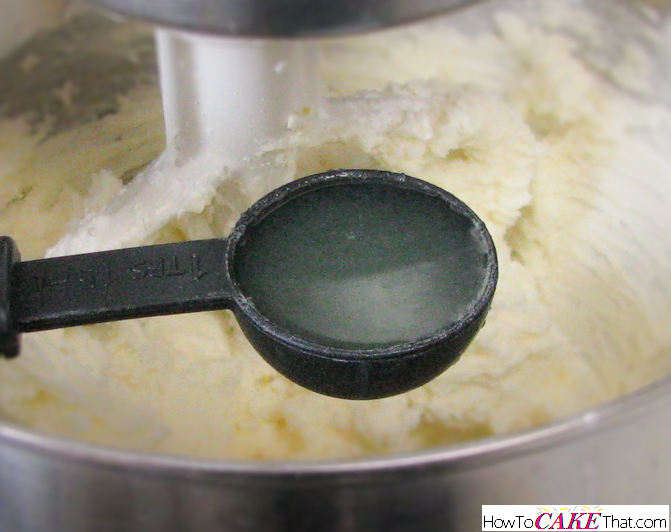 Using the paddle attachment, cream the butter and shortening together on low or medium speed until well mixed. 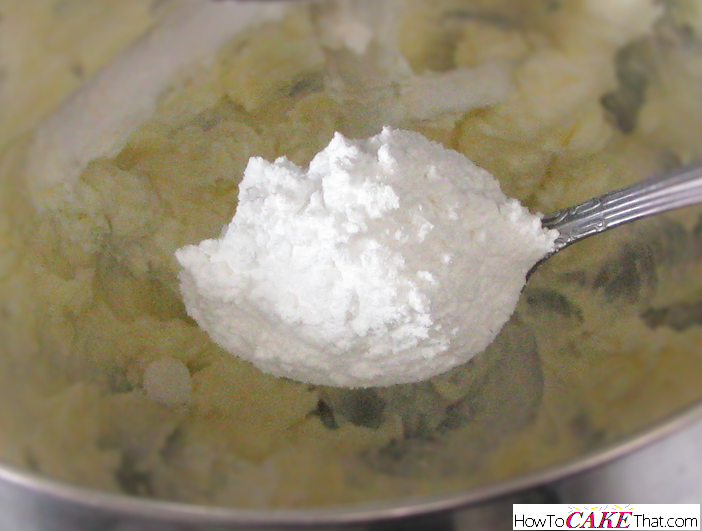 Next, add 14 ounces of powdered sugar. Be sure to add sugar a little at a time. Turn mixer on to blend between each addition. 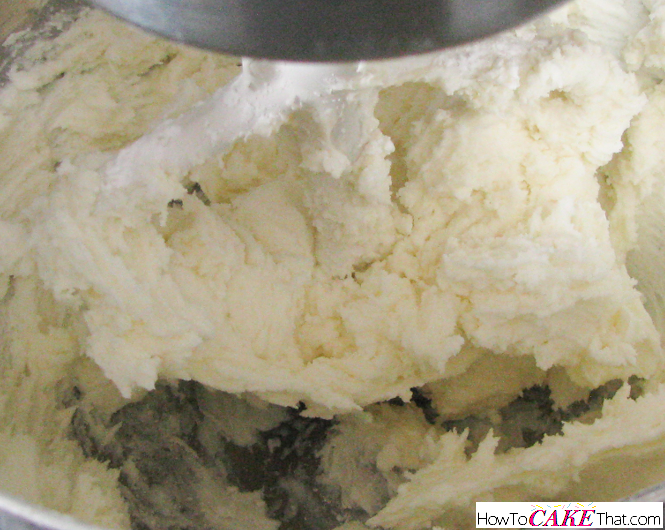 Once all of the powdered sugar has been mixed in, the frosting will appear a bit dry. 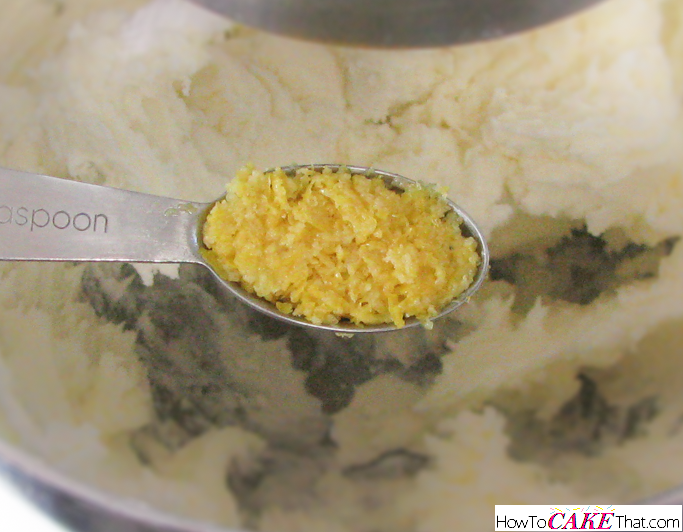 Next, add 1 teaspoon of fresh lemon zest to the bowl. Add 1 tablespoon plus 2 teaspoons of freshly squeezed lemon juice to the bowl. Also add 2 teaspoons of milk to the bowl. 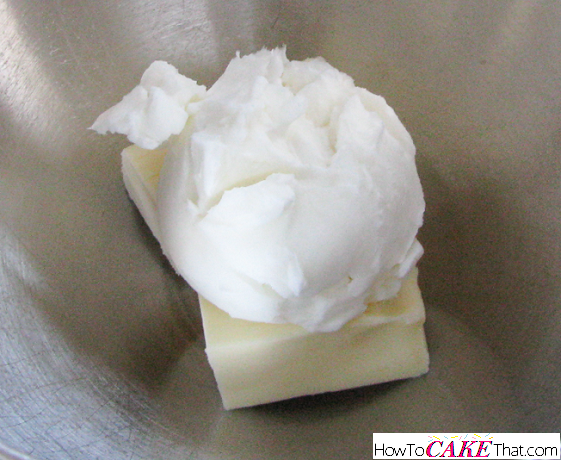 Blend all ingredients on high speed for 3 to 5 minutes, until frosting has become light and fluffy. 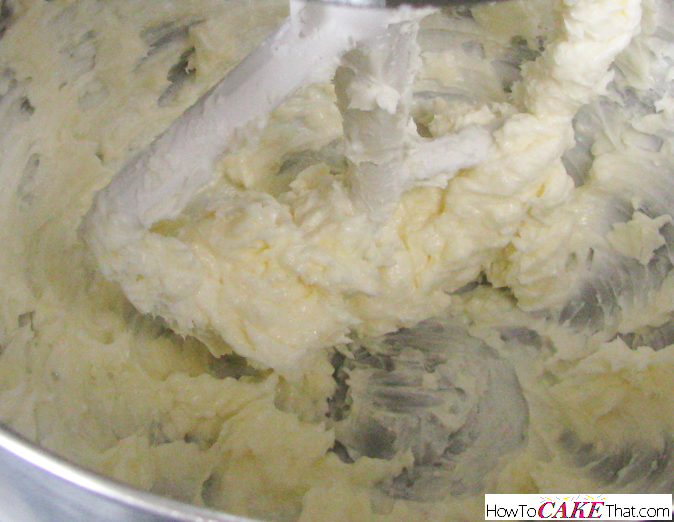 And that's how you make this delicious Fresh Lemon Frosting! I hope you have enjoyed this tutorial! God bless! !